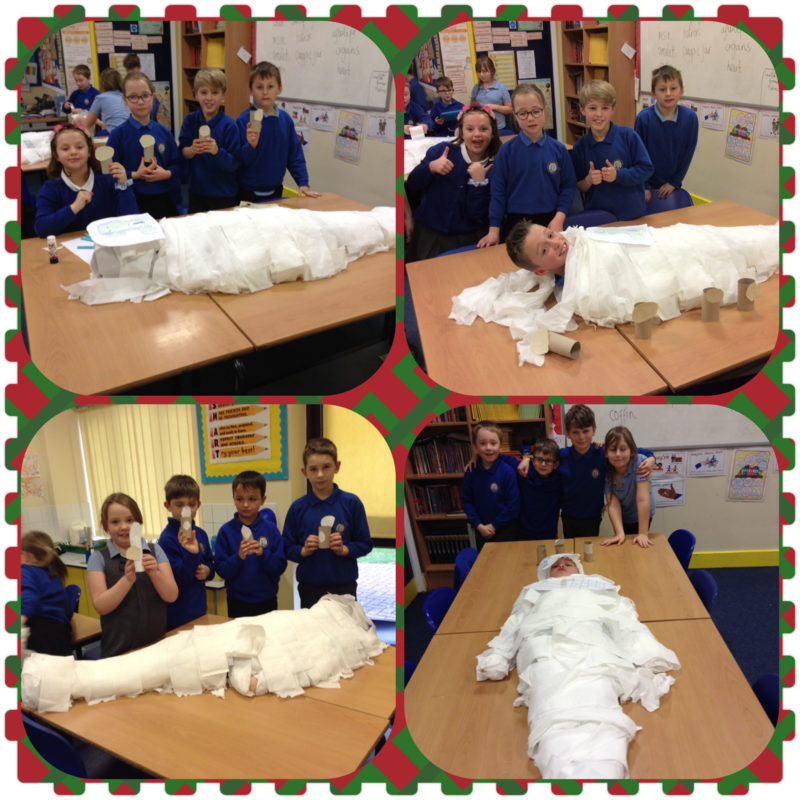 Year 4 had lots of fun making mummies today. 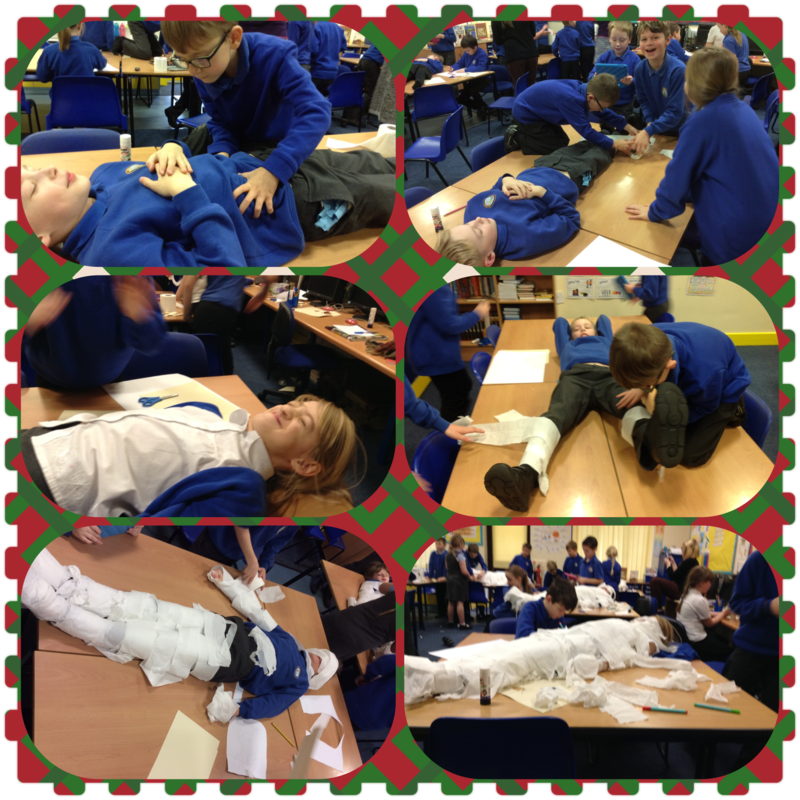 They were in groups to work through the process of mummification. This role play helps to rehearse the process before they write it up as an explanation text. They had great fun and between them the class used 18 rolls of toilet paper! Next Post Year 2 has some special visitors!